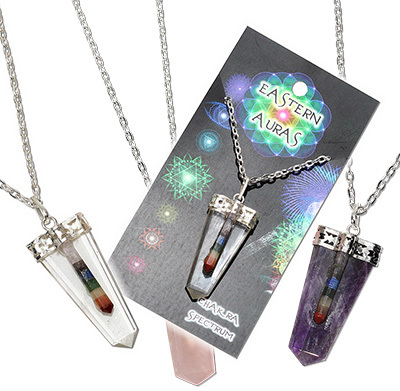 Crystal points with layered chakra stone point on 24" silver plated curb chain. Amethyst, Clear quartz, and Rose Quartz stones available. Comes on Earthy Gems 2.5x5" hang card.